WAHM WorkSpace is excited to introduce Lunch & Learn business lunch sessions for BossLadies! Lunch & Learn sessions are a time for BossLadies to get together for a delicious, healthy meal and learn a little bit about business while they’re at it. At strictly one hour in length, the sessions will be easy to fit into your day as a lunch break while making the most of your time. We all know how many of us eat our lunch while busy working! Think of Lunch & Learn sessions as a live podcast with a Business Coach for 30 minutes, with some time to chat and ask question afterwards. Each month, a different speaker will present a talk on a business related topics for 20 to 30 minutes, with the remainder of the hour being dedicated to discussion and Q&A. The talks will be kept casual and personal, with no powerpoint presentations, but there is the possibility of handouts. The total time will strictly be one hour, so that you can plan effectively around the events. My plan is for these events to be relaxed, social, learning sessions, rather than very strict business training sessions. The numbers will be limited to 10-15 Bosses in order to make sure that everyone is able to network and has a chance to be heard during the discussion. Themes, speakers, venues and costs will be advised via our newsletter, so sign up here to be included in these updates. 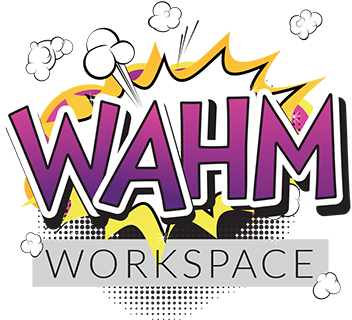 WAHM WorkSpace members will pay only for their meal at Lunch & Learn sessions, non-members will pay to attend. Members will have first access to the available seats. The first session will be on Thursday, 22 February 2018. The sessions will run on the following dates for the rest of 2018. 22 February, 22 March, 19 April, 24 May, 21 June, 19 July, 23 August, 20 September, 18 October, 22 November. All sessions will be held in the Berea or Durban North areas, however the venue will change monthly.